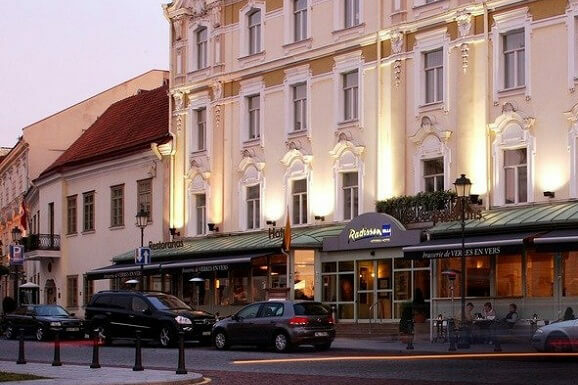 Anyone who at least once visited Vilnius, with kind word remembers hotels in this city and excellent accommodation, also high level of service. 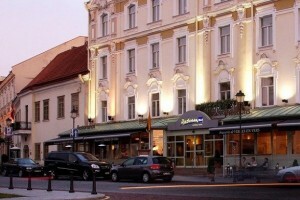 Hotels in Vilnius can make a favorable impression on even the most discerning travelers. 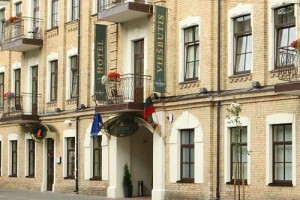 As a rule, hotels in Lithuania are presented with three, four and five stars. 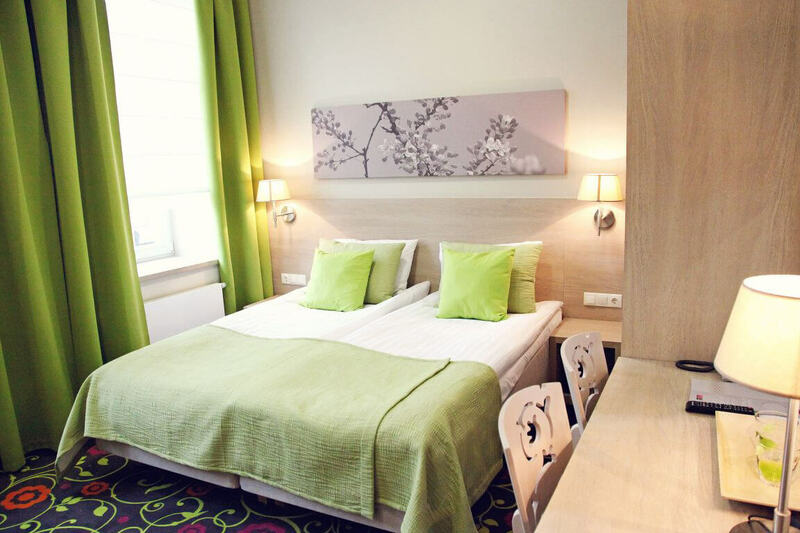 Also in Vilnius there are guest houses and hostels, the price of accommodation which can be called the budgetary. 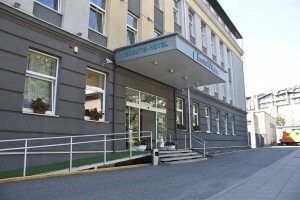 Of course, most hotels are located in the center of Vilnius. And in the capital of Lithuania can be found both hotels with reasonable prices for accommodation and hotels with high class “rooms” where stop dignitaries of the city, as well as those who can afford an expensive holiday. Therefore, your task – to realistically assess your opportunities and make the right choice. So, going to go on vacation in Vilnius? Then it’s time to get down to a choice of hotels. And if you don’t want to be mistaken with a choice, please contact us and we will offer you the best option! Do you want to feel respected and meaningful person, surround yourself with exceptional care and attention to leisure time? Then chose 5 stars hotels in Vilnius! They offers not only a worthy, but excellent service, the best service, which only can be. Already in the lobby of 5 stars hotel in Vilnius You will realize that you are in paradise. Attractive interior is striking in its elegance and nobility. 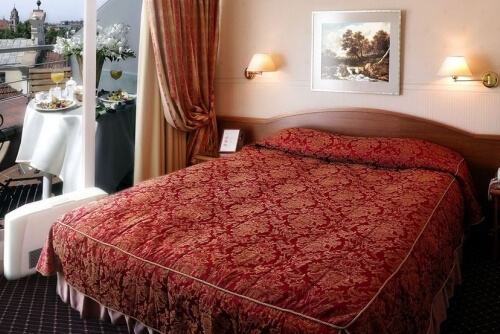 Each room is individually decorated, with attention to details and with comfortable furnishings. 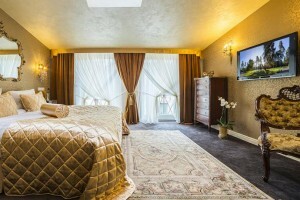 Each room has air conditioning, safe, mini-bar with drinks and snacks, TV, telephone, wireless Internet access. If you need a computer, you can take it out at the front desk. 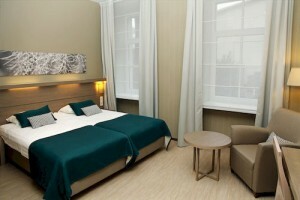 This service is provided by many 5 stars hotels in Vilnius. Housekeeping, as well as changes of towels and bed linen is every day. If necessary, you can call the maid for extra cleaning. 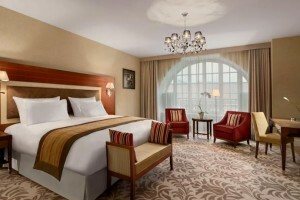 Hotels provide room service, and this means that at any time you can order food and drinks in the room. If you make a sport, and even on vacation do not want to renounce your traditional lifestyle, visit the fitness center at the hotel, a gym, pool or wellness center. Lovers to pamper their bodies by spa massage and other treatments will be pleasantly surprised by the presence of spas in the territory of five-star hotels. Modern, prestigious and impressive. Vilnius 4 stars Hotels – this is the best accommodation option for discerning travelers as well as business travelers, who need the comfort level much higher than average. 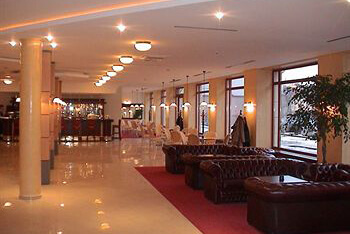 These hotels are ready to offer for visitors and guests practically everything what need for quality holiday or work. The rooms are elegantly decorated, there are a comfortable modern furniture, TV, Internet, safe, mini-bar, telephone, spacious bathroom and toilet. You can book not only standard room, but also multi-room apartments that are able to provide a more luxurious accommodation. Rooms are cleaned daily and linen are changed every day. At any time you can order to your room drinks, snacks and other dishes. 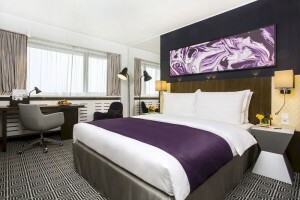 In 4 stars hotels You will be able to take advantage of a wide range of additional services. 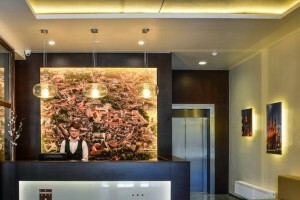 Laundry, children’s room and babysitting services, gyms and fitness centers, beauty salons and spas, currency exchange and ATM – all this and much more is in the four-star hotels in Vilnius. Breakfast buffet necessarily included in the price and in the afternoon or evening you can visit the restaurant, café or bar, which is also located on site. 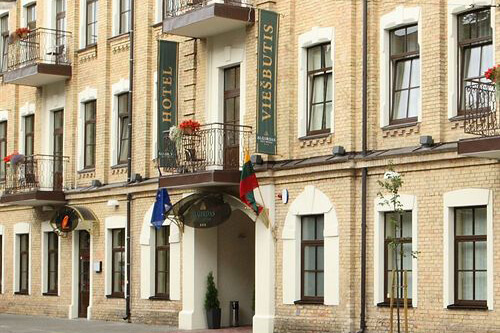 Guests, who are interested in a comfortable and quite economical accommodation, select 2 stars hotels in Vilnius. Most of them are located almost in the heart of the city, which is very important, because a lot of the main attractions is exactly in the center. 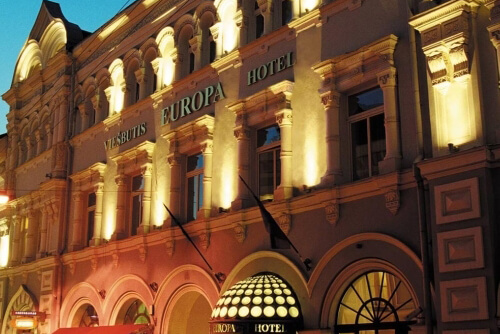 Some 2 stars hotels in Vilnius are located a bit far from the center, but certainly not so far from interesting places of the city, some of the important attractions and shops where you can buy souvenirs. There are tidy, clean rooms, where is everything what you need for relax. 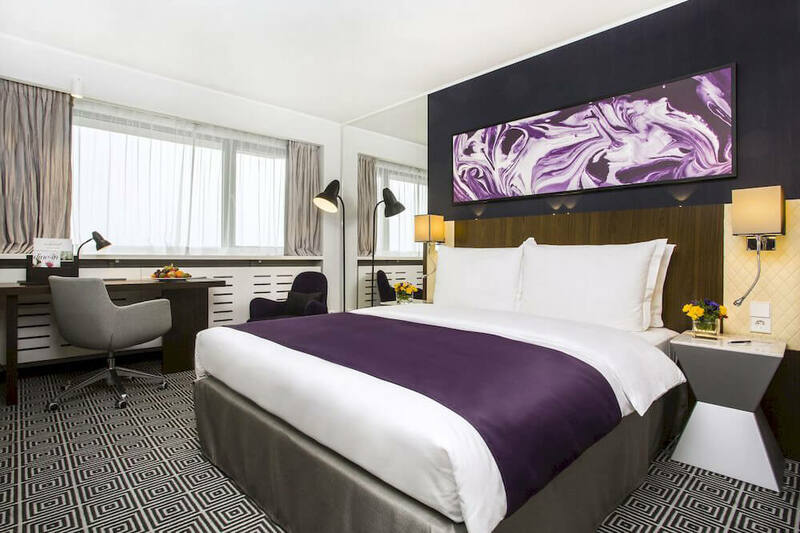 This is not only a bed, bedside table, and other furniture such as wardrobe, dining table and chairs, desk, chair and sofa (depending on the hotel, furnished rooms can be different). Each room is equipped with shower and toilet, clean towels. Breakfast in hotels in 2 stars hotels in Vilnius usually is paid for separately. However, this applies to small hotels, in the same large complexes where are 50-100 or more rooms, breakfast is often included in the price. 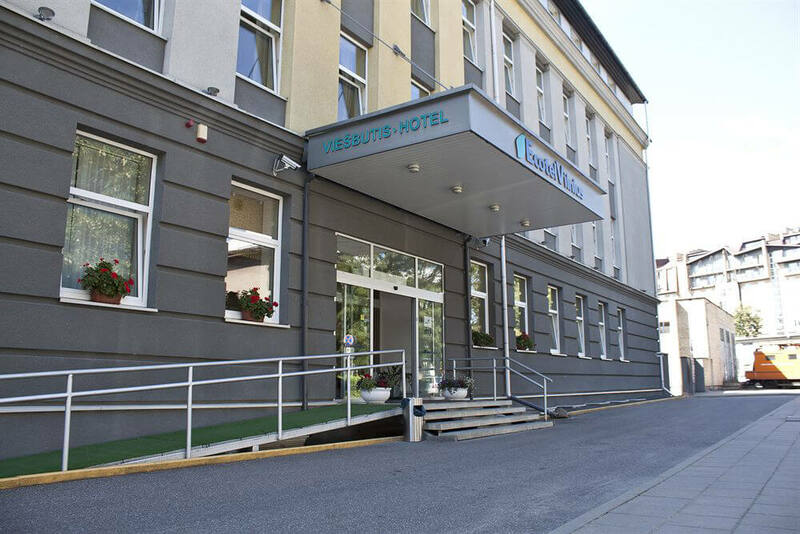 On the territory of 2 star hotels in Vilnius there is a bar and a cafe or restaurant, also there is free Wi-Fi in the common guest area.